We all want to say thanks to all the children involved in making this book. 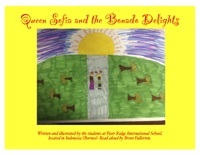 Their willingness to share their imaginations and artistic skills made this book possible. You should be very proud!